Jeremy Clarkson and Richard Hammond nominate the greatest car company, James May tests a congestion-busting caravan plan and DJ Chris Evans is in the studio. Motoring news and views with Jeremy Clarkson, Richard Hammond and James May. Jeremy and Richard settle the thorny issue of which company has, above all others, made the greatest number of truly brilliant cars. 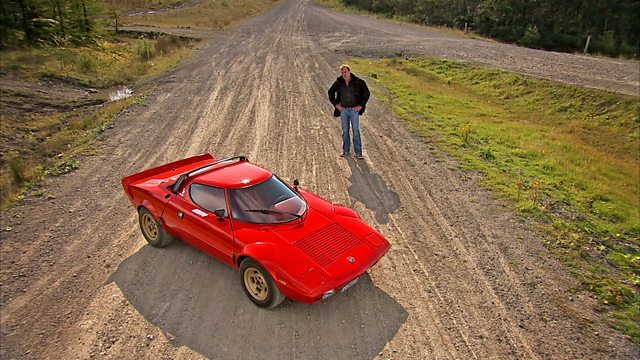 James has a novel solution for getting caravans to campsites without clogging up the roads, and Jeremy hits the track in a remarkable replica of a legendary rally car. Plus Radio 2's Breakfast Show DJ and all round petrolhead Chris Evans is the Star in a Reasonably Priced Car.